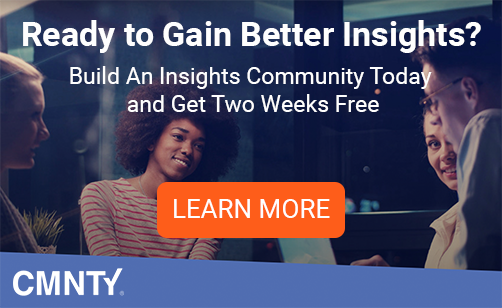 CMNTY Is A Powerful Alternative to Vision Critical Customer Intelligence Software. Here’s Why. 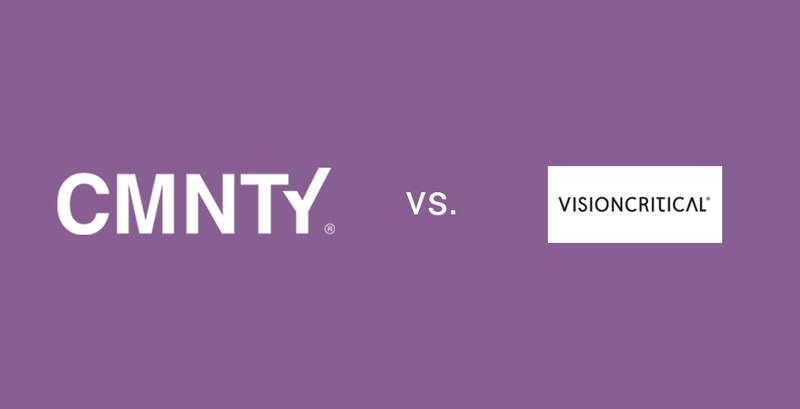 Over the years we have received many questions on how CMNTY compares to Vision Critical’s Customer Intelligence Software. We also successfully migrated customers from Vision Critical to CMNTY. While we rarely look at competitors, I guess you could say we’ve gained knowledge about Vision Critical and we are more than happy to share why we think CMNTY offers a nice alternative. First off, Vision Critical is a “full service” firm. This means they will typically want to run your research project for you from beginning to end. This leaves very little room for client involvement. This can be frustrating when you have an experienced and savvy research team that loves to try different approaches on their own during the course of the project. But it may also make your research project far more pricey than is should be. Vision Critical’s Sparq platform is high-end, with lot’s of features, but it’s largely focused on its survey capabilities and very large panels. This takes away the perks of more intimate customer communities and limits direct online engagement with your customers. Both platforms are designed to work with large amounts of personal data and have mechanism to ensure user data privacy including those imposed by regional privacy laws like GDPR. Perhaps the most named reasons why CMNTY is a great Vision Critical alternative are Do-it-Yourself nature and the usability of the platform. 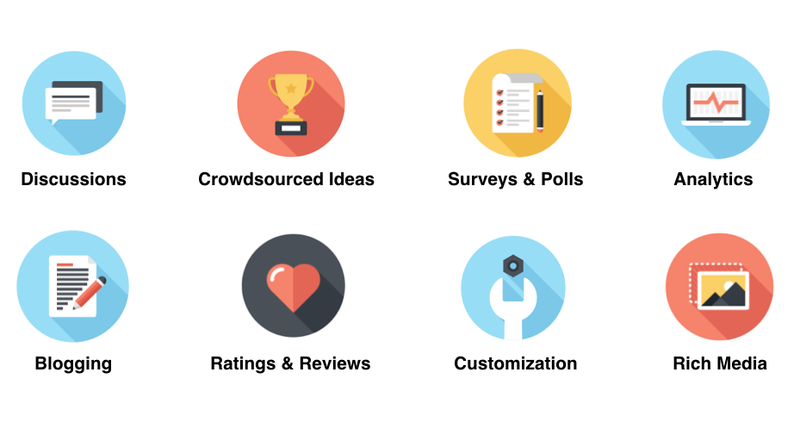 We simply like things to be easy to use and good looking because we strive for an optimal customer experience for community members and moderators. 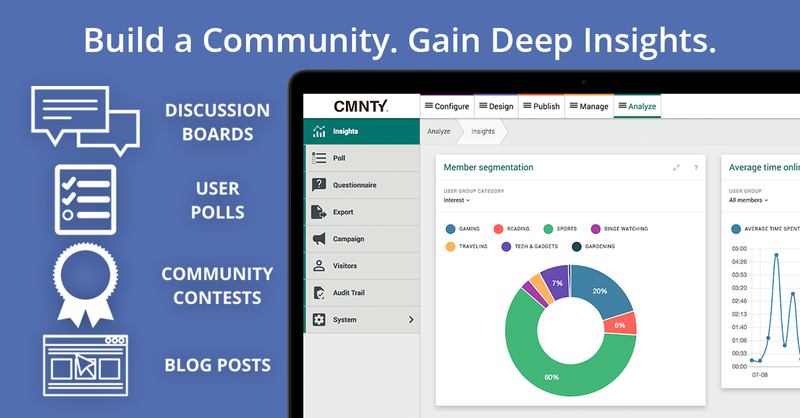 CMNTY Platform comes with a lot of insights-driven and DIY features on top of the more general community features that a lot of competitive platforms have. However, the fact that it’s simple and easy to use doesn’t make it less powerful, on the contrary! CMNTY’s Enterprise price tag starts at $6,000 per month, while Vision Critical typically charges a multiple of that. Why it has to be so expensive? We don’t know! But it gets even better. If you don’t need Enterprise features like a private server, support for more than 25,000 members, and are comfortable with a Do-It-Yourself solution, then you can even start at only $1,250 per month. Lastly, our DIY plans also come without a contract. This means you can come and go, and basically run your project on a month-by-month basis. Speed of delivery for Vision Critical platform differs. But to give you an idea of roll-out speed for CMNTY’s Enterprise platforms: from contract sign-off to launch on average spans only 2-3 weeks. This is possible because CMNTY works with templates that are ready to go and can be customized to your needs on the fly. In practice this means you can already start filling your community with content while your digital marketing team finalizes the look and feel of your community platform (with our support if needed). So delivery is quick. And alternative you can be even quicker if you use our DIY solution which allows you to launch a community today. It get’s even better. If you are a research agency then you can become CMNTY Partner. Our Partner Plan gives you a flexible workspace and several tools to deploy communities for your clients. Several of our customers are research agencies that do community-based research projects for their clients at the fraction of the price Vision Critical is charging. Have a look at the client cases. It’s quite possible you are currently running a Vision Critical platform and want to keep your data when you move to CMNTY’s alternative. You’ll be happy to know that we will be able to import members, forum conversations and most of your other data. Reach out to our sales team to discuss what you need for your migration and what to ask the Vision Critical team when they are making an export. The only way to get a personalized experience of Vision Critical Software is through a personal demo (via phone, Skype or in-person). We also love giving you demos, but, at the same time, believe in the power of online trials. We’d like to think that our product explains itself. Still not convinced CMNTY is good alternative? Give us a try and start a trial today. If you rather get a live demo, please reach out here and we will be in contact soon. Copyright 2007 - 2018 by CMNTY Corporation.